There have been various ‘achievement gaps’ in England over the years—significant differences in school attainment by students from different socioeconomic classes, different genders and different ethnic groups. Although Basil Bernstein, a leading English sociologist of education, argued many years ago that ‘education cannot compensate for society’, policy makers continue to believe that education and other social policies can help to equalise school performance and life chances between different social groups. 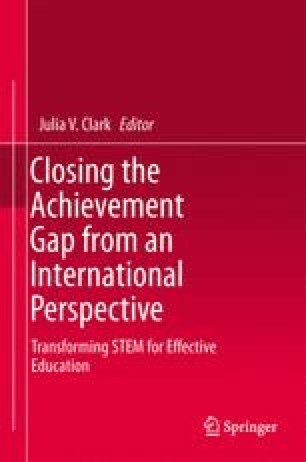 This chapter describes what progress was made in narrowing the socioeconomic achievement gap in England under its New Labour government between 1997 and 2010 and assesses the research evidence on whether a wide array of national, local, institutional and ‘personalised’ interventions seem to have made a difference. It also discusses future prospects for closing the gap under the coalition government of Conservatives and Liberal Democrats that was elected in England in 2010. The chapter includes an explanation of the structure of the English schooling system. We would like to thank Rebecca Allen, John Jerrim, Sandra Leaton Gray, Sarah Tang, Anna Vignoles and Emma Wisby at the Institute of Education, University of London, for their help in preparing this chapter. Allen, R. (2012). How can London schools be so good, given the high cost of living for teachers? IoE Blog 22/05/2012. London: Institute of Education. http://ioelondonblog.wordpress.com/2012/05/22/how-can-london-schools-be-so-good-given-the-high-cost-of-living-for-teachers/. Cook, C. (2011). Poorer children close education gap. Financial Times. London: Pearson. http://www.ft.com/cms/s/0/d82fc3cc-eab3-11e0-aeca-00144feab49a.html. Coyne, J., & Goodfellow, J. M. (2008). Report to the Secretary of State, DIUS, on universities’ links with schools in STEM subjects. http://www.bis.gov.uk/policies/higher-education-debate. Accessed 2 Nov 2009. DCSF (Department for Children, Schools and Families) (2008). Schools and Pupils in England: January 2007 (Final). Statistical First Release 30/2007.http://www.dcsf.gov.uk/rsgateway/DB/SFR/s000744/index.shtml. Accessed 9 March 2009. DfES (Department for Education and Skills) (2007a). Secretary of State Announces Extension of the London Challenge Programme. Archived press release.http://webarchive.nationalarchives.gov.uk/20070603200104/ http://dfes.gov.uk/londonchallenge/. Goldstein (2002). The national literacy and numeracy strategy (NLNS) evaluation: Part 2. Bristol: Centre for Multilevel Modelling, University of Bristol.http://www.bristol.ac.uk/cmm/team/hg/oisereport2.html. Gove, M. (2012). Michael Gove at the National College annual conference. http://www.education.gov.uk/inthenews/speeches/a00210308/michael-gove-at-the-national-college-annual-conference. Accessed 12 July 2012. Hansard (2012). House of Commons Hansard Written Answers for 12 July 2012. London: Houses of Parliament.http://www.publications.parliament.uk/pa/cm201213/cmhansrd/cm120712/text/120712w0003.htm. Harris, M. (2010). What more can be done to widen access to highly selective universities? : A Report from Sir Martin Harris, Director of Fair Access. Bristol: OFFA.http://www.offa.org.uk/wp-content/uploads/2010/05/Sir-Martin-Harris-Fair-Access-report-web-version.pdf. Accessed 20 August 2010). HM Government (2010a). The coalition: our programme for government. London: Cabinet Office. http://programmeforgovernment.hmg.gov.uk/. Accessed 1 July 2010. HM Government (2010b). Opening doors, breaking barriers: A strategy for social mobility. London: Cabinet Office.https://www.gov.uk/government/uploads/system/uploads/attachment_data/file/61964/opening-doors-breaking-barriers.pdf. Accessed 1 July 2010. Kelly, K., & Cook, S. (2007). Full-time young participation by socioeconomic class: A new widening participation measure in higher education. DfES Research Report RR806.http://www.dcsf.gov.uk/research/data/uploadfiles/RR806.pdf. Accessed 21 Oct 2008. Machin, S., & Vernoit, J. (2011). Changing school autonomy: Academy schools and their introduction to England’s education. Centre for the Economics of Education. CEE DP 123. http://cee.lse.ac.uk/ceedps/ceedp123.pdf. Milburn, A. (2009). Unleashing aspiration: The final report of the Panel on Fair Access to the Professions. HMSO.http://www.cabinetoffice.gov.uk/strategy/work_areas/accessprofessions.aspx. Accessed 12 Jan 2010. Stewart, W. (25 Mar 2011). The challenge now is to hang on to this success, Times Educational Supplement. http://www.tes.co.uk/article.aspx?storycode=6074357. UCAS (2012). How have applications for full-time undergraduate higher education in the UK changed in 2012?http://ucas.com/documents/ucas_how_have_applications_changed_in_2012_executive_summary.pdf.